Jordan Peele has lined up his first production under his overall television development deal, The Hollywood Reporter confirms. A network isn't yet attached, but insiders have emphasized that the project is "already drawing interest from several potential bidders." Sources indicate that the package began circulating shortly after the Charlottesville neo-Nazi protest and counter protest, which resulted in one confirmed death and several other injuries, occurred back in August. David Weil is on board to write the script, and will executive produce alongside Peele. Sonar Entertainment, where Peele has an exclusive first-look deal, is involved to produce the potential series. Peele's Monkeypaw Productions will also produce. For five seasons, Peele starred alongside fellow comedian and actor Keegan-Michael Key on the Comedy Central show Key and Peele. He spent another five seasons on the sketch comedy series MADtv. More recently, Peele had a recurring role on Noah Hawley's FX anthology series Fargo, and wrote and co-starred in last year's Keanu. Peele's television deal came directly after the success of his horror-farce Get Out, which served as his feature directorial debut. Get Out became the highest-grossing feature debut from a writer/director based off an original screenplay. 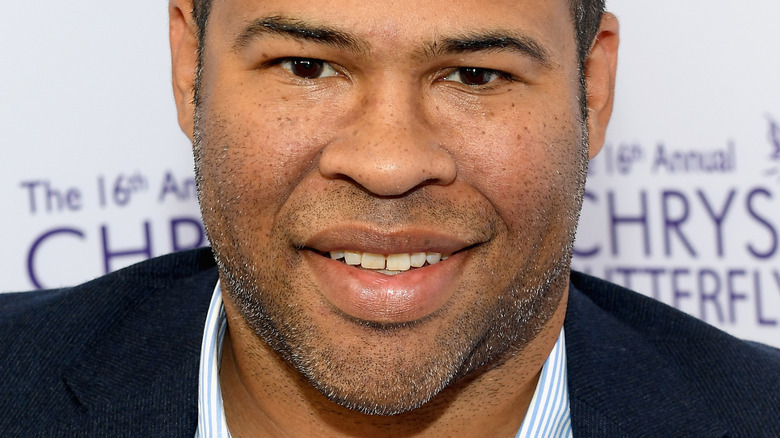 Looking ahead, Peele is planning to create a handful of films he describes as "social thrillers" that offer a terrifying take on racism in modern society. "The best and scariest monsters in the world are human beings and what we are capable of especially when we get together," Peele said of his in-development projects. I've been working on these premises about these different social demons, these innately human monsters that are woven into the fabric of how we think and how we interact, and each one of my movies is going to be about a different one of these social demons." It seems that The Hunt will feature a similar tone. As we wait to learn more about The Hunt, discover the untold truth of Peele's Get Out.